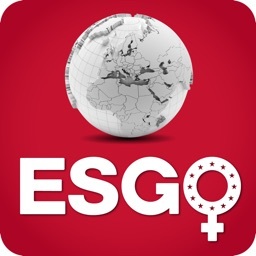 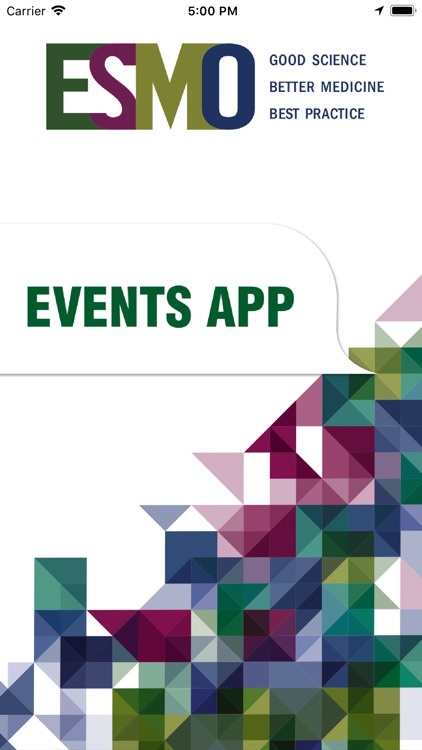 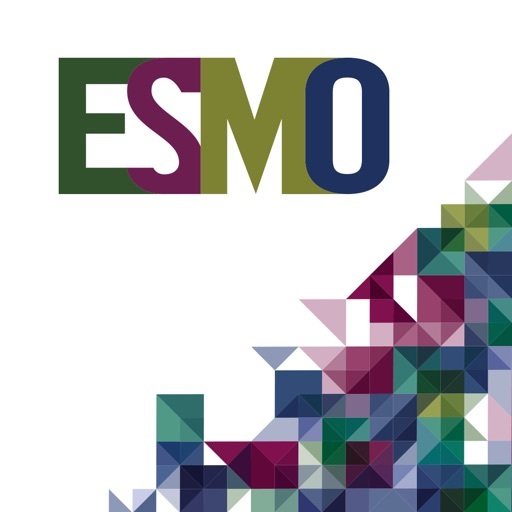 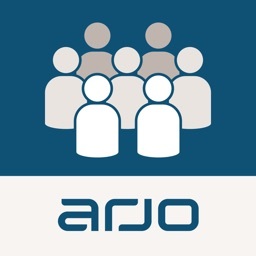 ESMO Event App is an event library app that lists all of ESMO’s conferences. 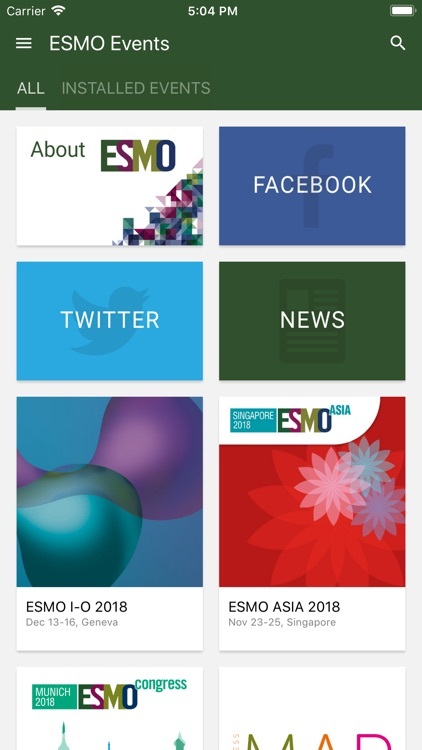 Simply download the app and then choose the ESMO Conference you are interested in. 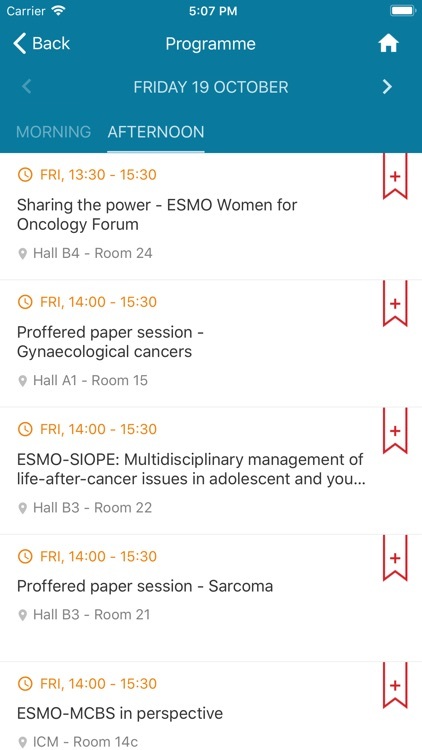 ESMO will regularly add new conferences to the list, so don’t delete the app! 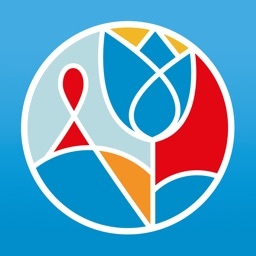 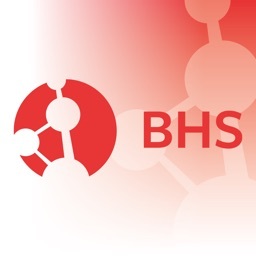 Thanks to this app, you will be able to browse the complete scientific programme by day, topic, cancer types and track, and create your own personal programme. 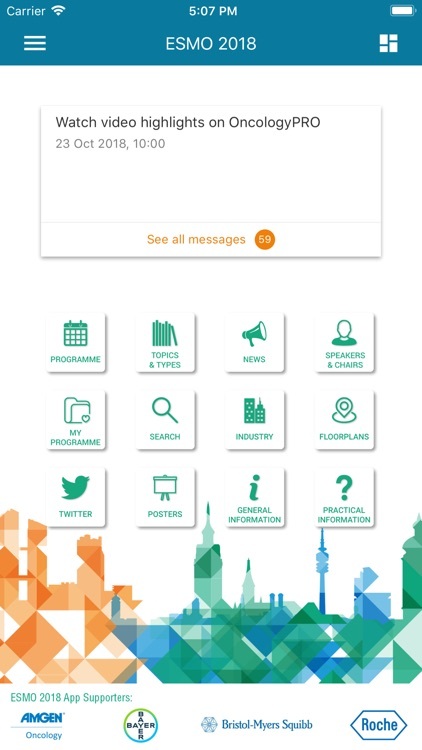 Locate rooms and exhibitor stands on the floorplans, receive daily news and much more. 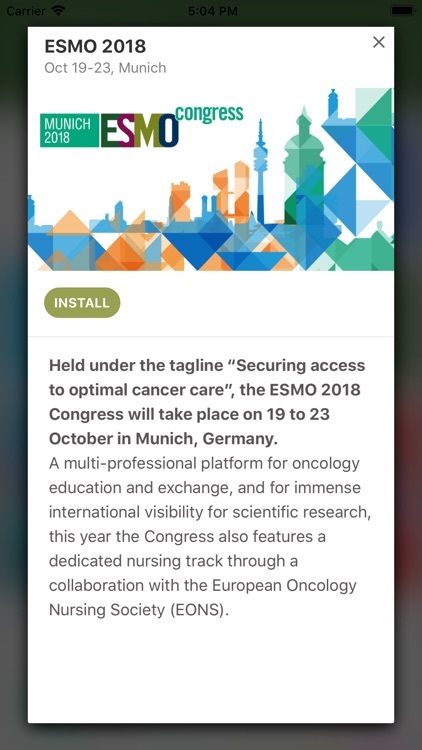 Before first use, you'll need to download the latest conference data and afterwards, you can use the app offline, although an update will be available before each and every Congress.